Your roof and its shingles are the most important barrier between your living space and the environment. Your roof has to be highly effective at reducing the solar rays to keep your home cool. 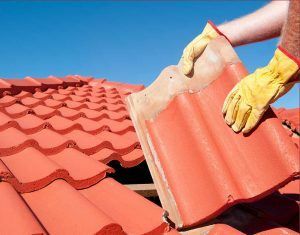 Additionally, each shingle must adhere correctly and durable enough to handle the rain, wind, hail, and other elements. Homeowners never really think about their roofing system and its condition until it’s too late. Water Damage & Roofing of Austin wants to change that. Home and business owners in Tarrytown can rely on Water Damage & Roofing of Austin to quickly help them with their home. We have completed repairs and roofing replacements along Exposition, Windsor, Lake Austin Blvd, and other streets within your 78703 area code, even all the way up to 35th St, the border of the traditional old Tarrytown section. We can come out at your convenience and do a full assessment of your roofing structure and its condition. If you don’t need any repairs, we will be very happy to tell you that. We want to make lifelong customers of our neighbors in Austin and know that when we follow the Golden Rule and treat you right, that when you do need our roofing or water damage services, you’ll call Water Damage & Roofing of Austin first! Taking the time to address a water leak before it has a chance to grow is your best course of action. If you see or hear a water leak in your home or the evidence that one has occurred, please make the call to our water damage experts at Water Damage & Roofing of Austin. After your call to our Water Damage Company, you are now in good hands. Our initial appointment is where you will begin to solve your water damage issues. We will through gully find the source of the water leak. This is the best first step. It may seem that you want to start cleaning up first, but it is our experience to first cut off and fix the source of the water leak. Next, we will begin cleanup, restoration, and water damage remediation. This process is not as straightforward as you may think. 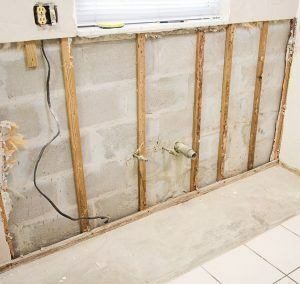 You want to have a company that has been there for hundreds of situations and knows how to best handle the process of putting your water damaged home back together. We have the right equipment and know-how to use it. We have assembled a team with the water damage expertise to make the best of every hour while we are at your home. Thank you for looking at our website. If you need a top rated roofing contractor in the Austin market, you have found the right company. We have completed many roofing projects throughout the many neighborhoods in Austin, including yours in Tarrytown. It doesn’t take much time for water to seep into a wind or hail damaged roof. Just a drop of water can find it’s way all the way through your roof, underlayment felt material, roof decking, through your roofing rafters, and down past your attic space, into your living room. This seems like a long journey and for just a drop of water, not a big deal. But just a light sprinkle of rain can put as much of a cup of water into your attic just from one little crack in a brittle aged shingle. This is why having your roofing structure thoroughly inspected is recommended every couple of years. Our inspection won’t take too much time from your busy day, and in fact, you don’t even have to be present. One of our experienced roofing project managers will complete the inspection and call you at your convenience to go over the condition of your roofing shingles and it’s effectiveness at providing a watertight bond between your home and the elements.